Re: Any of you chaps like modified watches? I just read this thread, I am intrigued!. Any more shots of watches you have and a little more information on the hobby. I got a lathe at an auction that belonged to a clock / watchmaker he purchased it back in the fifties and he died in 2009 and i got most of his stuff, I kept the lathe and tooling but I sent along the way most of the weirdest dies, tooling and gadgets he made through Fleabays, this cat had some stuff I have never seen but knowing a little about his passion I am sure everything had a use, what I can tell you is this lathe was spotless and looked like it just came out of the factory, I would of like to have met the guy. Anywho I am interested in clocks / watches so please post more info. Rob, is it back in the draw or did you flog it? Rob sold the Seiko to my contact that I suggested, the watch was worth quite a few notes. Thank you for sharing. You have to love German engineering and their attention to detail. Only just looked at this topic for the first time. Does this count as a modified watch? PS sorry if image is too big, I am still having problems with editing. PPS I have one of those Constellations but mine is a '64, but still with its original little red box! PPPS that is a full size human wrist behind the watch. That Connie and Red box will be worth some money now. 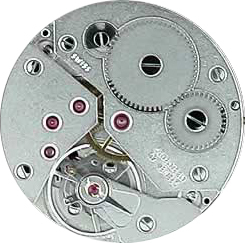 Did you like the Smiths pocket watch to wrist watch conversion? Nope sorry I don't know much about Smith's watches, born in '75 so was brought up with Casio SS LCD watches. 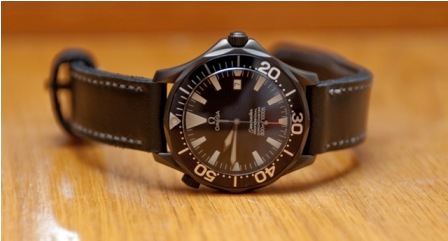 What do you reckon to this Diamond like Carbon coated Omega Bond Seamaster? I guess I shall have to find the time to make another custom case for a watch, but not to take something daft like the Smiths or inaccurate like an Omega, next time I shall use a Timex. I might have a window in about ten years time the way things are going at the moment. Didn't those old Omega Connies use an indirect seconds hand 55* movement? Movement is Swiss but the watch firm are Deutsche! I have to admit that the movements are a mystery to me, I leave that to a mate who is a former Omega employee. Cases are a straight forward lathe and mill engineering project, no real skill needed to achieve acceptable results, unlike all those teeny weeny little bits in a watch that you need a microscope to see. Even watch faces are a simple 'puter and printer job. On further thought, I do prefer a sweep second hand, so maybe the Timex might not be the best choice. As I said this project is nowhere near the top of the tuit list, in fact it is just about at the bottom, although with the warm weather the list is getting some attention. Does this count as modded? After I get some practice with the mill, I'll probably try and make a new case and maybe band for it, though finding a new crystal may be a challenge as I've never tried to source watch parts. 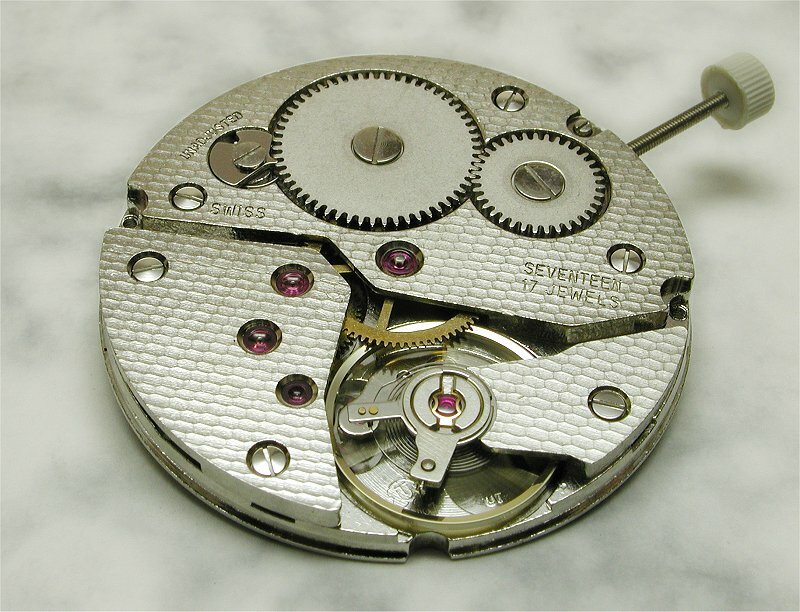 The movement survived and it still keeps perfect time, the rest didn't do so well. I've been in to watches for quite a few years and though I don't generally mod watches, I did use to repair them (or at least, attempt to!!! )..